For half a century, biological anthropologists have studied how human health and disease can arise from evolutionary adaptations interacting with diverse, present-day environments. Casting a broad comparative net, anthropologists have asked how our bodies respond to nutritional deprivation and excess, to the stress of high-altitude living, to the costs of reproduction, and to diverse infectious disease ecologies. They have used comparative data to challenge cultural norms about the healthiest ways to raise kids and questioned biomedical assumptions about the most appropriate tools for assessing healthy development. They have examined how past adaptations can put us at risk for nutrient deficiencies and life-threatening genetic disorders. 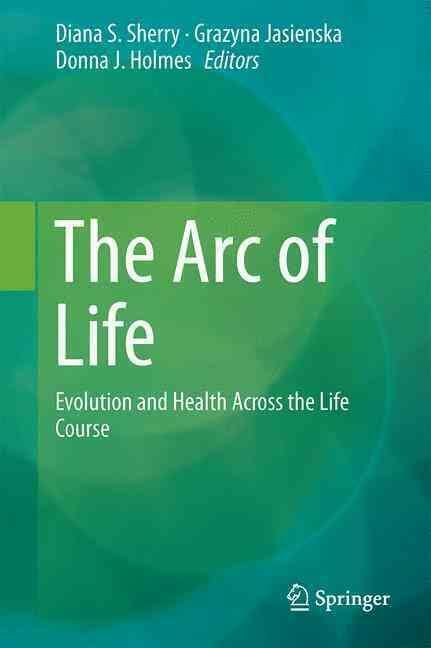 “The Arc of Life” introduces readers to a range of recent research in biological anthropology tackling these same kinds of issues and questions. A life history framework unites many of the chapters in this volume, bringing into focus the compromises that must be made when allocating valuable resources to survival, growth, and reproduction. Within this framework, the volume brings together a diverse set of perspectives—including developmental biology, reproductive ecology, physiology, demography, immunology, and the biology of aging—focusing on all parts of the lifespan from the fetus to old age. The chapters ask many interesting questions. How do fetuses learn about the risks and affordances of the outside world in preparation for a life away from the womb? What is “normal” sociosexual development and what are its functions? Is teen motherhood always a risky endeavor? What are the health costs of maintaining high levels of androgens through the life span? How can mechanisms that protect the mother and fetus during pregnancy lead to later life health problems? How does living in an environment of steady abundance modify the costs and health risks of reproduction? And what parallels are there between physiological responses to high-altitude hypoxia and metabolic responses to the extreme high-glucose environments of modern day? A key strength of many of the chapters is careful attention to the hormonal and physiological mechanisms that play a role in allocating scarce resources to all the bodily processes and behaviors needed for survival, growth and reproduction. The scientific theories and findings presented in the chapters are stimulating in their own right, but the book also aims at relevance to public health and medicine. There are moments when the book achieves this second aspiration, for example, by raising concerns about the public health consequences of unfettered and untested testosterone supplementation in later life. More detailed descriptions of how evolutionary insights and predictions could be translated to improve practice in medicine and public health would help more fully achieve the book’s second aspiration. In summary, the book is a good introduction to a diverse set of active research threads in biological anthropology on evolution, health and disease. I expect it will be of interest to a graduate students and researchers in the fields of evolutionary medicine as well as health professionals with an interest in health and disease as an interaction between our evolutionary past and our present environments.